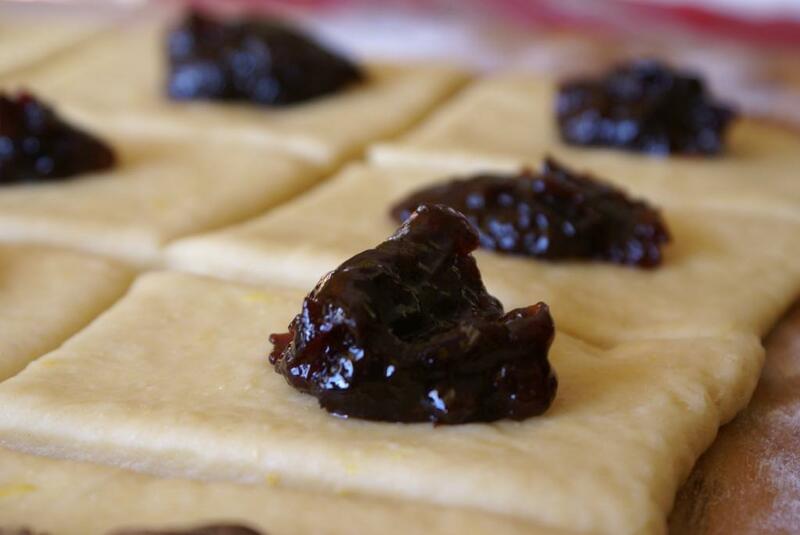 My favorite filling is plum jam (I still had some that I made last summer). My daughter loves it with nutella. 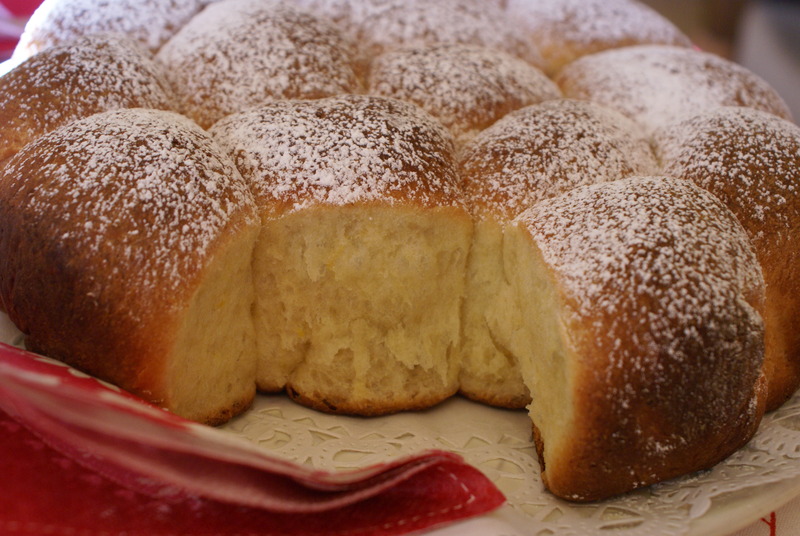 Yes, rosehip jam is very common in Bosnia, I would even say traditional Bosnian jam… it is super delicious! These sound delicious! Congrats on your award!!!! 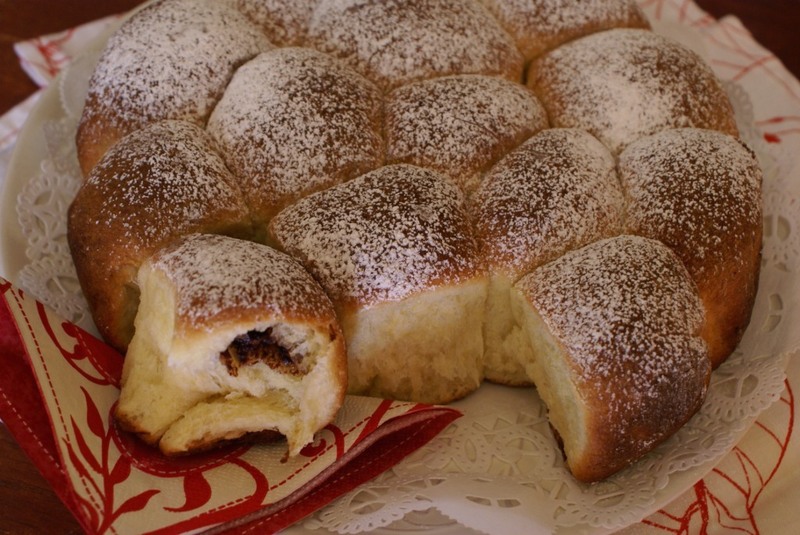 Delicious, so light and fluffy! I would love that rosehip jam to go with it… have you posted the recipe for that one?? Thanks so much! Rosehip jam I haven’t made yet my self… I made the plum jam last summer and I’ve used it to fill the Buchteln. Rosehip jam I usually buy in stores that sell international food. I am definitely going to try these with nutella though I’m sure my husband will want some stuffed with his homemade bramble jelly. I will let you know how I get on! 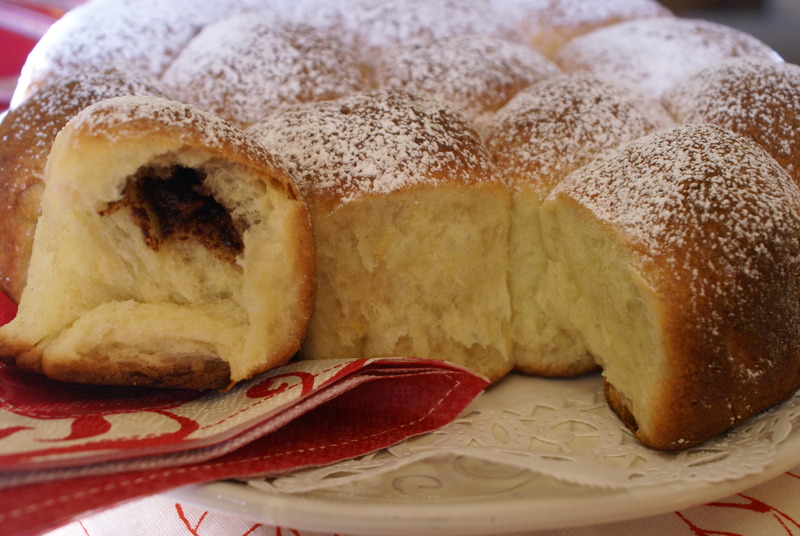 They are great with nutella or any kind of jam really… the dough itself tastes just lightly sweet with hint of vanilla and lemon, so jam only compliments it. Please do let me know how did you like them. You make everything seem so easy and so very delicious!! My new year resolution is to try out every single one of your recipes 🙂 Tomorrow I’ll go stock up on yeast! In Bosnia we call them Buhtle (I guess it is easier to pronounce). 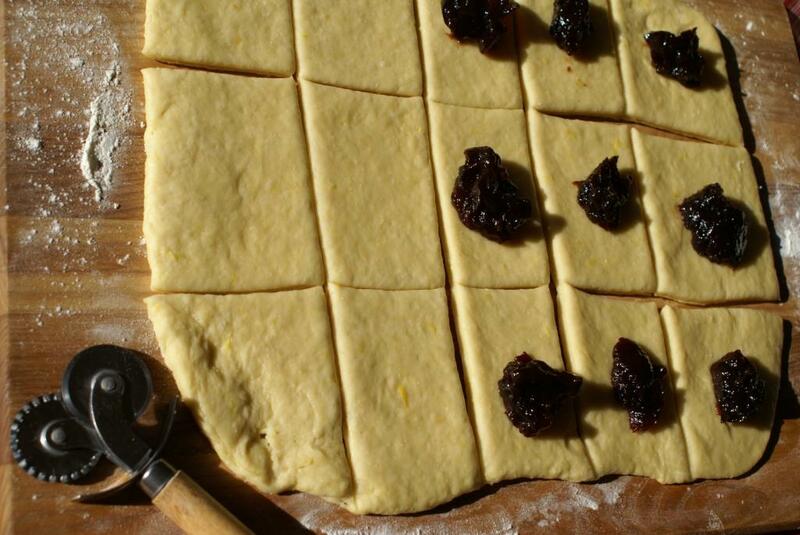 The jam you see in the photos is that exact jam from the prune plums – sljive. I made it last summer and we all love it. This is delicious!!! Thank you for all the detailed pictures and great description, made it very easy to make!! I used Nutella and it was Delish :))) will def. Try your other recipes. You are very talented! Buenos dias amiga! 🙂 Gracias for stopping by! Maybe you can make them for breakfast some day and invite friends over! 😉 Wishing you a wonderful day! Buenos días carño,… have a great weekend! These look wonderful! I still have not conquered my fear of yeast.. But when I do, these will be on the list! Thank you Sarah! 🙂 Baking with yeast is very simple… I’ve been baking with yeast since I was a teenager, so if you have questions I am here for you! 🙂 Take care! Thanks so much! 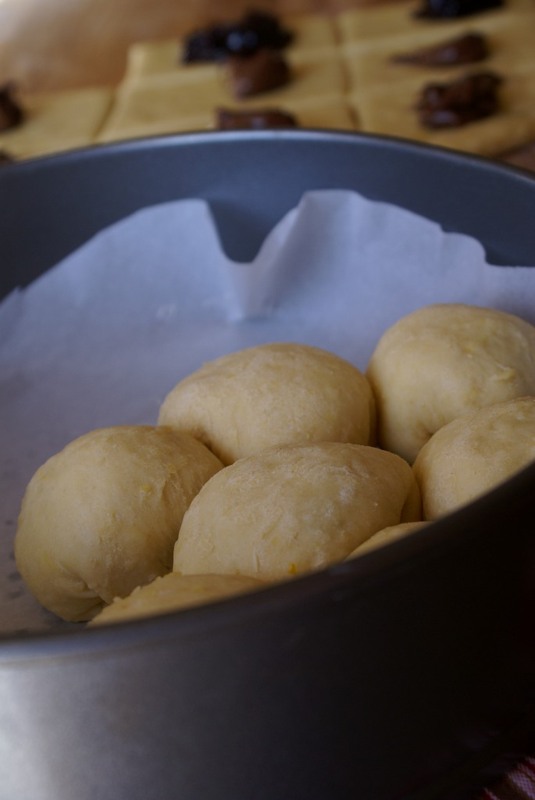 It’s all about the right kind of yeast dough and little bit of time! 🙂 Thanks for stopping by! 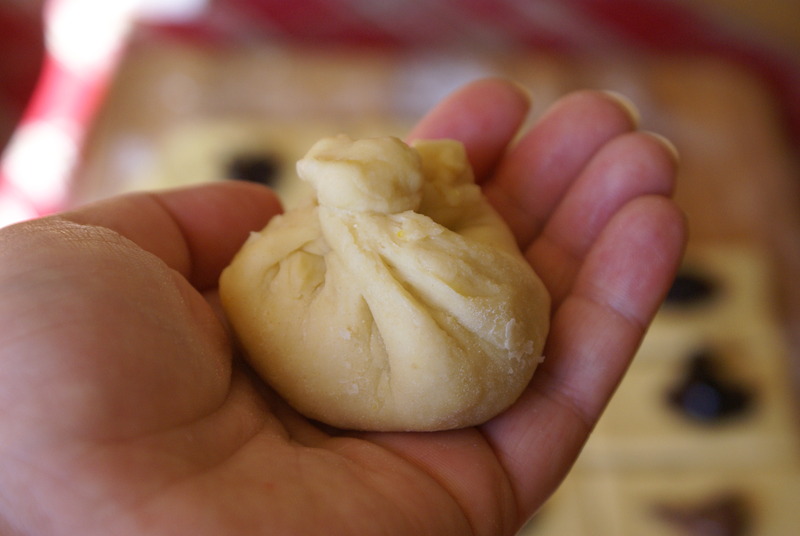 I have a never ending fear of yeast, but this recipe just calls out to be tried. I’ve had something similar at our mosque growing up but they didn’t have fillings. Oh I reall have to try your recipe!! I’m def going to try these, they look delish and perfect for breakfast. I am wondering how long do they keep for, as I do my baking twice a week, would these keep for a couple of days? can I freeze them and warm them up later? Congratulations on your wonderful baking! 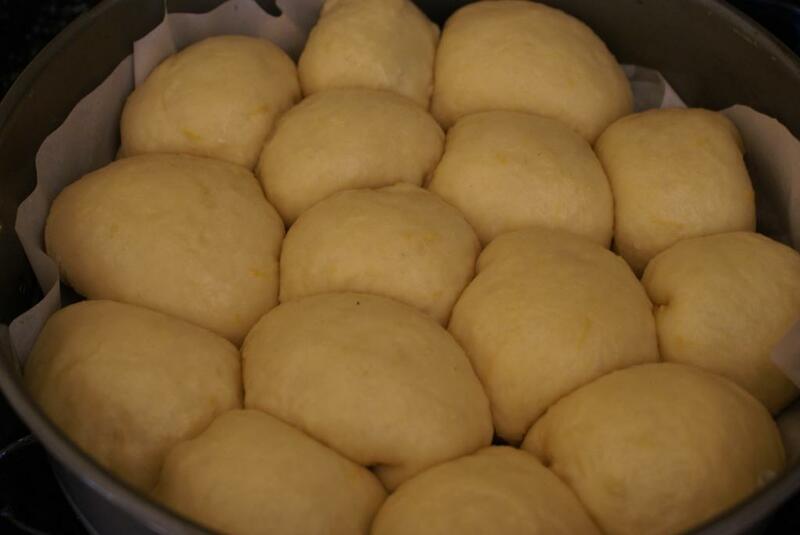 Oh my, these dinner rolls looks really soft and delicious! I am glad you like them! 🙂 Thanks for stopping by and leaving a comment! That was a very precise and nice recipe. wonderful. i filled them with vanilla sauce and they amazed everybody including my dear husband!!! Oh I am so glad that you tried them and that your family liked them! 🙂 Vanilla sauce sounds as a great filling! Thanks for leaving a comment and please come back!